This has been republished with the permission of Baker MacKenzie. It was first published on the Baker Mackenzie website. 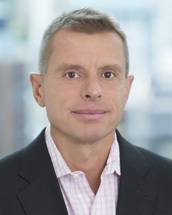 Jonathan D. Cocker heads the Baker McKenzie’s Environmental Practice Group in Canada and is an active member of its Global Consumer Goods & Retail and Energy, Mining & Infrastructure groups. He participated in founding one of North America’s first circular economy producer responsibility organizations. Jonathan is a frequent speaker and writer on EHS matters, an active participant on EHS issues in a number of national and international industry associations, and most recently the author of the first edition of The Environment and Climate Change Law Review (Canada chapter) and the upcoming Encyclopedia of Environmental Law (Chemicals chapter).